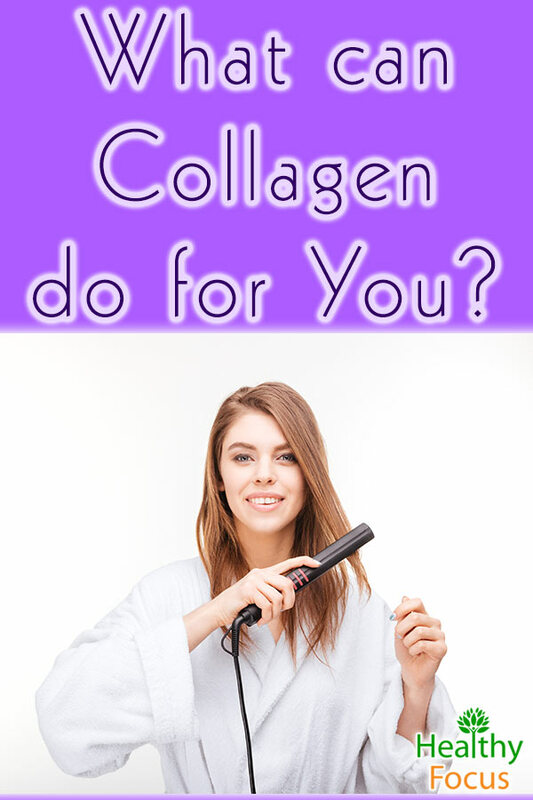 Many people will already be aware of collagen and will have seen it on the health store shelves or appearing as one of the ingredients in your skin creams and body lotions. Despite this name recognition many people are still unaware of exactly what collagen is, what it can do for their health and how it can be incorporated beer into their lives. Collagen is a protein; in fact it is the body’s most abundant protein found in the skin, muscles, bones and joints. It is vitally important to our body’s overall health; it helps strengthen the skin and hair, replenish skin cells and aids digestion. As we age, our body stars to produce less collagen which is a major reason that our skin begins to wrinkle and sag and our joints begin to weaken. Apart from the aging process, other factors can contribute to low collagen levels such as high sugar diets, smoking and exposure to sunlight. There is often some confusion over the differences between collagen and gelatin with the words sometimes used synonymously. They are actually just different forms of the same protein and there is no difference especially when it comes to nutritional content and health benefits. Gelatin is actually formed from collagen; when collagen is broken down, it then becomes gelatin. Think of bone broth as an illustration; bones are packed with collagen so when you cook the broth it is slowly broken down into nutritious and delicious gelatin. Collagen and gelatin are really good for your health. The benefits of collagen have actually been well known for many centuries especially in ancient Chinese medicine. It is a rich source of healthy amino acids such as glutamine, glycine and arginine. Normally the body produces enough of these amino acids on its own. Unfortunately, during times of stress or sickness, our body may not produce these acids in sufficient amounts and we need to supplement them through our diets. If you feel that you need to use supplements to increase your collagen intake, collagen supplements are available in peptide or gelatin. Collagen peptides can be added to liquids and they will dissolve immediately without gelling. Collagen in the form of gelatin supplements contains the same nutritional benefits and amino acids but because it gels, it can be used for making homemade jello and other gelatinous products. The health benefits of collagen have been well researched and with the promise of more studies in the future, we are beginning to gain a good understanding of the many ways in which collagen protein can help us. Collagen is often used as an ingredient in commercial skin products and according to the large body of scientific research available, taking collagen supplements orally has numerous skin benefits including improved moisture and skin elasticity. 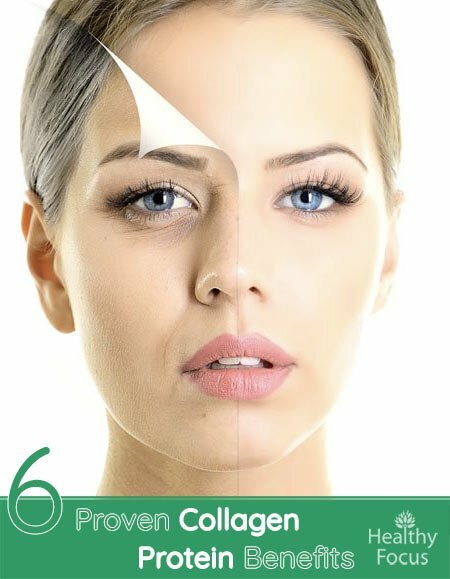 As we age, our skin loses its strength and elasticity, we develop wrinkles and our skin starts to sag so collagen is an important supplement for anybody who wants to reverse these signs of aging. Let’s take a look at some of the research. I have already mentioned that as we age, our bodies begin to lose collagen and this can have a profound effect on our movement. Our joints start to stiffen up and swell and our ligaments and tendons move less freely. Studies have found that collagen protein supplements can help reverse and slow down this process and it may even have the potential to treat osteoarthritis. When it comes to healthy bones, it is interesting to note that collagen contributes around 90% or so of bone mass. Along with vitamins and minerals, collagen supplements might help keep your bones strong and healthy. Research shows that collagen peptides can stimulate the growth of osteoblasts which are the cells responsible for bone formation. 3. Collagen increases satiety and supports digestion. Unlike many protein powders, collagen peptides are easily absorbed by the body and are an efficient way to boost your protein consumption. Collagen peptides can be added to your nutritious shakes and a few scoops will provide a whopping 18 grams of good quality protein. When consumed first thing in the morning, studies have demonstrated that collagen peptides leave you feeling 40% fuller than other protein supplements resulting in less intake later in the day. The amino acids contained in collagen also offer soothing and healing properties for your digestive system. Glycine actually stimulates the production of stomach acids and improves absorption of nutrients. Increasing stomach acid production can protect against a variety of illnesses. Supplementing your diet with collagen can boost your metabolism and raise your energy levels. The amino acid glycine which is present in collagen promotes the transfer of sugar into the tissues which in turn increases your energy levels as well as boosting muscle development. Muscles actually burn considerably more calories than fat so collagen supplements might give your body the boost I needs to restore vitality and energy. As well as being a major component of your skin and bones, collagen is also a key building block when it comes to your teeth and fingernails. 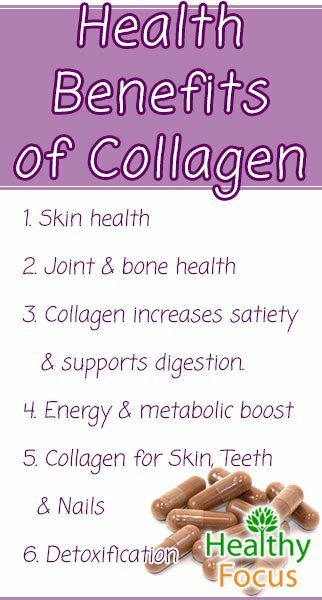 Supplementing with collagen can boost the strength and health of your bails and keep the dentist at bay. Detoxing the body every now and again is a great way to maintain your overall health and give some of your overworked organs a well-deserved break. There are numerous detox diets that people follow with varying degrees of success and a collagen based detox is recommended by some experts. It works because the glycine in the collagen helps repair the liver and minimize any damage caused by toxic substances. A 3 day bone broth diet is recommended by many experts in order to detoxify the body and heal the gut. Bone broth like chicken bone is an excellent way to increase your dietary intake of collagen. It tastes absolutely fantastic, is cheap and a great way to ensure that you are not wasting any of the goodness that you might ordinarily throw away. Collagen peptide supplements can be used in a variety of ways; they dissolve immediately upon contact with liquid and do not impact the taste of your drink.Try adding them to your smoothies or juices or blend them into a warm drink in the evening. You can even add collagen powder to your tea and coffee or if you have an ice cream maker, stir a spoonful or so into the mixture before you process it. You can use collagen in gelatin form to make home-made jello or delicious gummy treats.